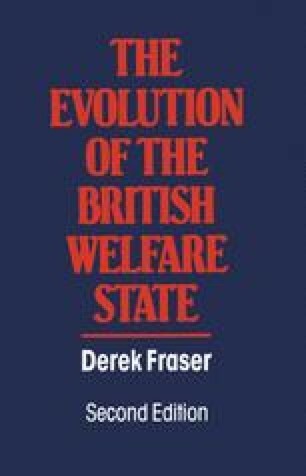 THAT there was a social problem of education in the period following the Industrial Revolution was, as in the field of public health, the result of the distribution of wealth in English society. For those who could afford to pay the fees there was an educational provision leading to the universities, but for the mass of society there was a deficiency of educational opportunity. The rich could buy themselves out of the problems of squalor and ignorance, the poor could not and the state played little role in education. There were indeed only three ways of getting a state education, by being a cadet, a felon or a pauper, since the army, prison and workhouse did provide some schooling. For the rest there was the occasional attendance at charity or endowed schools supported by subscription, or dame schools, some of which were no more than childminding establishments.